On the Outline or the Design section, you can add a new slide, or use one with enough space for display. 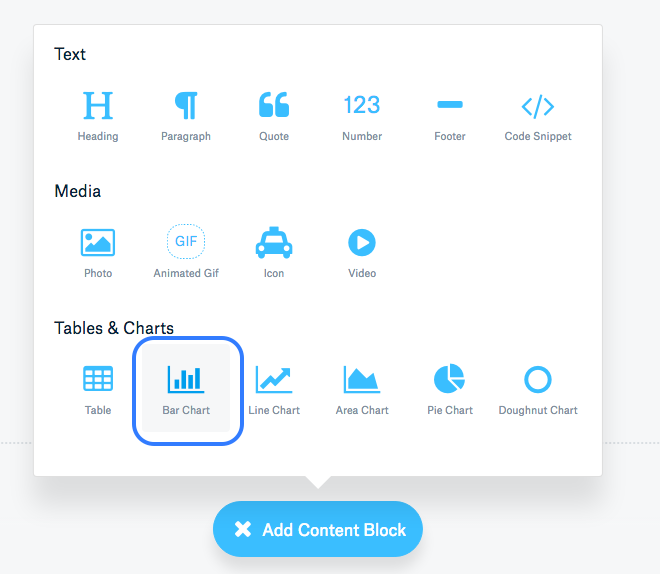 Click on Add Content Block and choose Bar chart. You can make it horizontal, vertical or stacked. There are four default sets, or columns, and up to twenty-four rows. Each set would be a category, element or variable you want to display, and a new row is automatically added after you input data in the last one. In the Design Section, click on your graph to edit size and position.